When you think about Oahu, you probably envision our sunny skies, pristine beaches, and lush valleys — so, you may be surprised at how many historical sites are located right here on The Gathering Place. 1. Pearl Harbor ( World War II Valor in the Pacific): Pearl Harbor is actually a collection of several historic sites on Oahu. The most popular site at Pearl Harbor is, of course, the USS Arizona Memorial, which marks the resting place of 1,102 sailors killed during the Japanese attack on Pearl Harbor. But, you won’t want to miss the USS Missouri Memorial (where the Japanese surrender was signed), the USS Bowfin Submarine Museum and Park (a fleet attack submarine that fought in WWII), and the Pacific Aviation Museum (which hosts a variety of aviation exhibits, most directly related to the Pearl Harbor attack). Book a Pearl Harbor Basic Tour or Pearl Harbor Home of the Brave Tour through Hawaii Aloha Travel to get the most out of the Pearl Harbor historic sites. The Pali Lookout is not only the site of one of King Kamehameha's greatest military victories, but one of the most beautiful vistas on Oahu. 2. Nuuanu Pali Lookout: Overlooking the lush Windward Coast and the majestic Koolau Mountain range, the Nuuanu Pali Lookout was the site of the Battle of Nuuanu. It was here, high atop these sheer cliffs that King Kamehameha I won a decisive battle that helped him conquer the island of Oahu. 3. Iolani Palace: A national historic landmark and the only official state residence of royalty in the United States, Downtown Honolulu’s Iolani Palace was the official residence of the Hawaiian Kingdom’s last two monarchs from 1882 to 1893: King Kalakaua and his sister and successor, Queen Liliuokalani. 4. 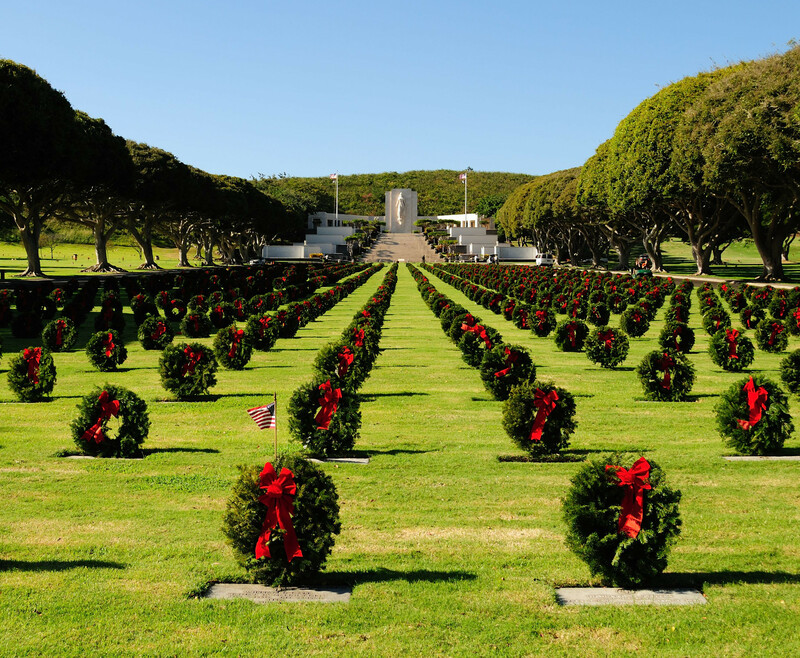 National Memorial Cemetery of the Pacific: Located just north of Downtown Honolulu in a long-extinct volcano called Punchbowl Crater, the National Memorial Cemetery of the Pacific is the resting-place for almost 53,000 veterans (and eligible family members). The National Memorial Cemetery of the Pacific is located in Punchbowl Crater, just minutes away from Downtown Honolulu and Waikiki. 5. Hawaii Mission Houses Museum: You’ll love being transported back in time to the era of the missionaries who came to Hawaii in the late 1800’s. In three historic buildings guests can see and feel the dramatic changes the New England Missionaries brought to Hawaii starting in 1820. You would need several weeks to really explore all the historic sites on Oahu, but this list will give you a good start! So, grab your gear, your thinking cap, and your love of history and head-out to some of these uniquely historic places!